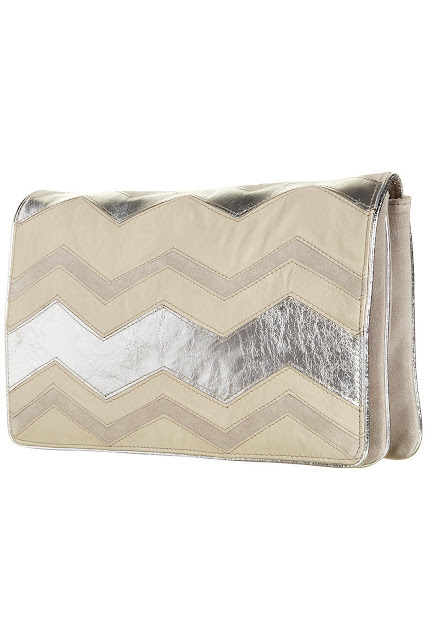 I am LOVING metallics at the moment...bags, clothes, nail varnish, eye shadow...you name it! I came across this bag in Topshop a few weeks ago, took a photo (below) so I could go to a few more shops and have a think about it as I usually impulse buy...but of course I went back and got the bad boy! I have been wearing a lot of black recently and I thought it was the perfect bag to brighten up my outfits and tie in my silver accessories a bit as the jewellery I wear everyday is all silver! I absolute LOVE IT and as you can see in the photo at the bottom it added a little something extra to my black lace back shirt. My 'think about it' photo. Website photograph of the bag. Me out on the town with my new bag.